The University of Graz is looking for a student research assistant in Philosophy (Theories of Justice and Ethics) in the Research Project “Historical Injustice - The Consequences to Justice of Changed Circumstances”. The working time amounts to 5 or 10 hours a week. It is a fixed-term employment for the period of one year and the position is to be filled preferably starting October 1st 2018 in Graz, Austria. The project (funded by the Austrian Science Foundation) investigates the normative consequences of past injustices. The project aims to develop an integrated approach that would include prospective distributive elements, historical entitlement elements, and structural injustice elements. 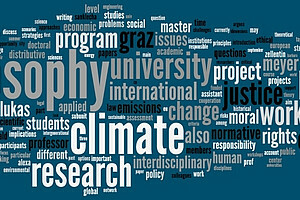 The student research assistant will support the praedocs, postdoc, and project leader by researching literature, compiling a database of works on historical injustice and empirical research findings on the cases, formatting papers for publication and the planned edited volume(s) and/or special issue(s), organizing the international workshop and conference, maintaining the internet platform of the project, and, continually documenting the work done by team members on the public project website. 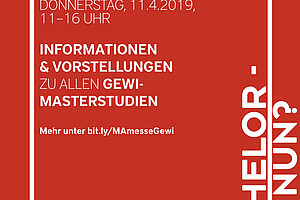 Applicants must be enrolled in a philosophy, history, law, cultural anthropology, Jewish studies or social science study programme (at the level of BA or preferably MA or equivalent) at the University of Graz. Good knowledge in English (at the level C1 or higher) is expected. For further information concerning the project and the application procedure, please see the following attached pdf.